Minimally invasive procedure for preventive maintenance of Canine Hip Dysplasia (CHD), which affects many dogs with varying degrees of pain and lameness that typically worsens with age, sometimes requiring lifelong medication (with potential side effects) or major surgery. The JPS procedure involves a single incision over the pubis and ablation/fusion of the symphysis (where the pelvis joins together); growth of the rest of the pelvis results in improved acetabular (hip socket) coverage of the femoral head and decreased hip laxity (looseness). 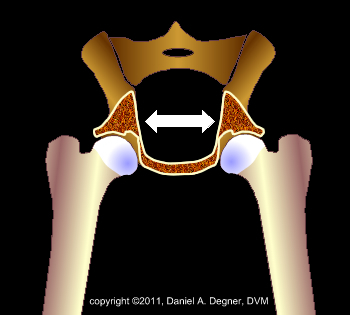 A single procedure treats both hips. Arthritis in comparably affected CHD dogs is reduced as much as 67% in JPS dogs vs. controls; patients with severe CHD may still have significant arthritis. 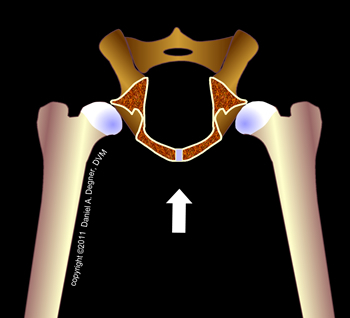 The pelvic changes and improvement are comparable to the Triple Pelvic Osteotomy (TPO), but without risk of sciatic nerve injury, healing of three painful fractures, or staged bilateral surgery. Must be done between 3-5 months of age (and before 4 months for maximum benefit), while sufficient growth potential remains. 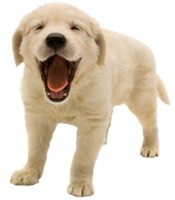 Affected large breed dogs, such Labrador and Golden Retrievers, Rottweilers, and German Shepherds, should be evaluated for hip laxity (looseness) under sedation by an experienced surgeon at 12 weeks of age. While pets rarely show lameness or other signs at this young age, animals should be evaluated at 3-4 months old so they do not miss the narrow window of opportunity for this beneficial and minimally invasive procedure. 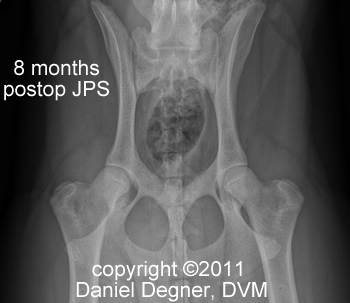 Please schedule an appointment with our board-certified surgeon, Dr. Jeff Christiansen at the clinic of your choice, to discuss juvenile pubic symphysiodesis to improve your pet's length and quality of life. 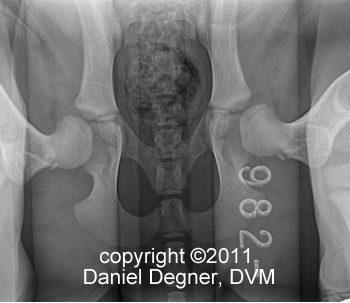 For more information on Hip Dysplasia, please use this link.